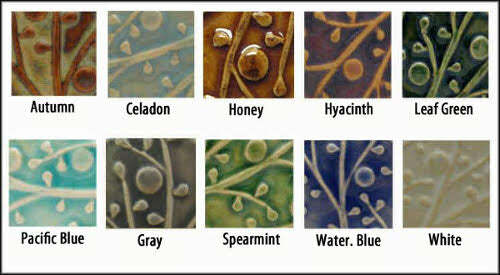 This popular nine tile set makes a unique focal point in a kitchen back splash, over a fireplace, or in the bathroom. Different designs can be substituted for the ones pictured here by request. Total size: approximately 8 inches by 8 inches WITHOUT grout lines. Installed size will be slightly bigger. Final measurements depends on how much space is left for grout lines.